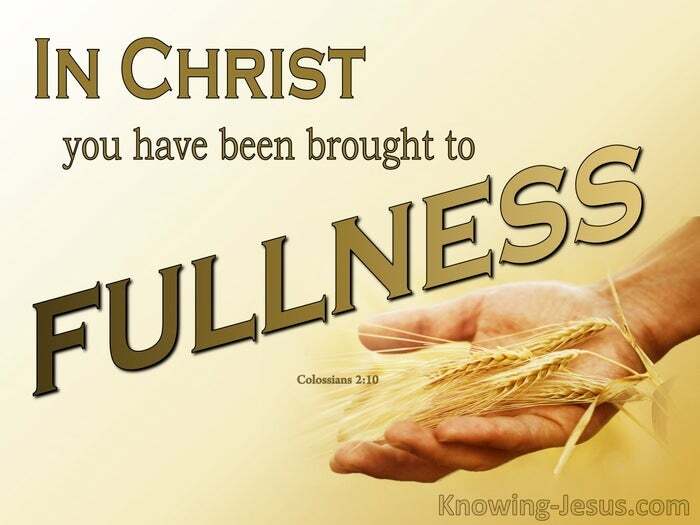 In Christ you have been brought to fullness. There is nothing more important to believers than having a sure relationship to God. If only we could understand that God purposed our eternal salvation in eternity past. Saving us from sin and death and hell was part of God’s amazing plan for our lives. We don’t deserve His forgiveness or salvation, but it is His gift of grace to us, and because we are in Christ we have been brought to complete fullness. There is nothing lacking in the Christian, because we are complete in Him. To often however believers try to add something to Christ, as they did in Colossae, but when anything is added to the finished work of Christ it threatens our purity. We are complete in Him and purified in Him but all additions introduce a pollutant. The teachings of the Gnostics were added to Paul’s teaching to the Colossians, and as a result they thrived on philosophic, religious speculations instead of the gospel. The legalism of the Jews was placed alongside Paul’s pure gospel of God’s grace and as a result many were being sucked back into slavery under legalistic demands. The spurious spiritual mysticism of pseudo-religiosity crept in with God’s truth and as a result some lived by emotions and a false spirituality instead of scripture. Like them we are to remain alert and not be robbed of our sufficiency in Christ, for the vain teachings in these traditions is not in accord with God’s view-point. Paul knows that the entire fullness of God’s nature dwells bodily in Christ – and in Him we are complete. Then as now the issue in Paul’s mind was our completeness in Christ. He abhorred the extras that were being brought into the Church of God, His urgent desire was that all believers truly understood who they were in Christ. He longed that the Body of Christ was brought into full knowledge of Christ. Paul knew that full, Christian completeness is: Christ in you the hope of glory. He wants us to know – everything that God desires us to be – is in Christ. Christian completeness has nothing to do with what I am or what I do. 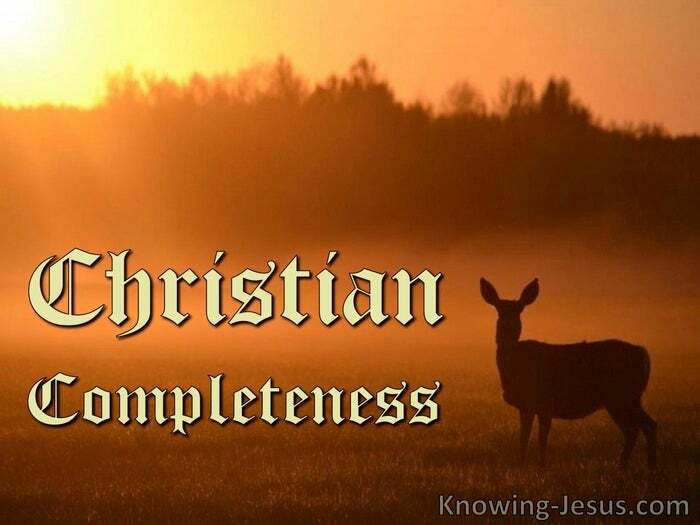 Christian completeness has everything to do with being complete in Christ.